According to an unnamed official at the White House, hackers infiltrated an unclassified network.The Obama Administration has confirmed the incident. An embarrassing incident involved the computer systems of the Obama Administration, according to the media an unclassified computer network used by the US government was infiltrated by hackers. The New York Times reported that an unnamed official working at the White House has admitted systems used by President Obama’s staff were breached by external hackers. The intrusion was detected by defense systems and triggered a temporary system outages. The system outages was caused “as a result of measures we have taken to defend our network,” said the official. According the experts the hacker was engaged in reconnaissance, there is no evidence of data breach, neither of sabotage. 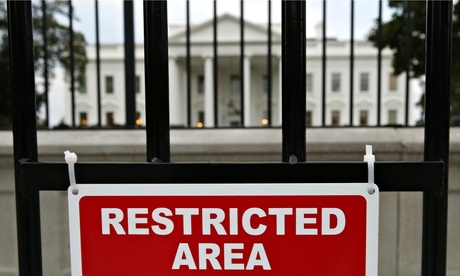 The attacker was trying to discover the composition of the unclassified White House network. “Administration officials said the attack did not appear to be aimed at destruction of either data or hardware, or to take over other systems at the White House. That strongly suggests that the hackers’ intention was either to probe and map the unclassified White House system, find entry points where they connect to other system or conduct fairly standard espionage.” reported The New York Times. The Washington Post speculated that Russian hackers may have coordinated the intrusion in the unclassified network of the White House, the thesis is supported by the results of recent investigations on espionage campaigns on a large scales, which uncovered hacking campaigns operated by Russian hackers, probably linked to the Kremlin. “The Russian intelligence service was believed to have been behind a breach of the U.S. military’s classified networks, which was discovered in 2008. ” reported the Washington Post. Recently security firm iSight issued a report in an APT group dubbed “Sandworm” team that was running a cyber espionage campaign on NATO and other Government entities, including the European Union, the Ukraine. Yesterday security firm FireEye reported of another ATP group, dubbed APT28, which seems to be linked to the Russian government and that is active since 2007. APT28 run a cyberespionage campaign against governments, militaries and security companies worldwide. “Certainly a variety of actors find our networks to be attractive targets and seek access to sensitive information. We are still assessing the activity of concern.” White House officials said. Secret Service, National Security Agency and the FBI are investigating the security breach.